What are Hackathons? A broad way to describe them is problem-solving events. 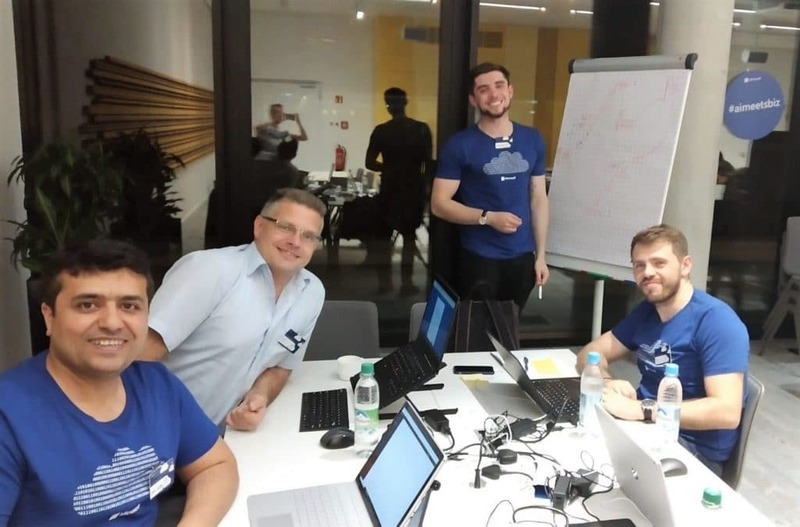 However, two of our UK-based PowerObjects consultants recently made a visit to Munich, Germany to attend one of Microsoft’s annual Hackathons, and they came home suggesting a better description: a whole lot of fun. Taking place during the weekend of 13th-14th October, the Microsoft Hackathon was set up as a competition, wherein 50 people were split into approximately 30 groups to devise and deliver a working solution on an issue of their choosing. PowerObjects consultants Pavlos Vasileiadis and Jack Murphy each participated in the Hackathon for a very intense 48 hours of (almost) non-stop technical work, planning and presenting. Their motivations and participation throughout the Hackathon completely personify PowerObjects’ 5 Guiding Principles, which are collectively a very strong component of our Company Culture. To that end, let’s highlight each of the Principles and describe exactly how Pavlos and Jack exemplified PowerObjects’ values during the Hackathon. The key aspect of adding value came in the form of defining and consolidating the pain points relating to the topic and project the PowerObjects team chose. The healthcare solution they devised, which they coined PowerClinic, can add tremendous value back to the clinics and practices experiencing the same pain points. Adding value remained at the core of the team’s practices throughout the intense 48-hour event. Whilst not a new player in EMEA scene, PowerObjects is always on the lookout for ways to boost and bolster our Brand image and recognition within EMEA. Adding value to the PowerObjects brand is an important and ongoing process that is always aided by every member of the organisation. Pavlos and Jack, during their weekend of non-stop hacking, became Brand Ambassadors by spreading awareness, throughout all their activities, of who PowerObjects is and what we do. True to the guiding principle, our two refined consultants took it upon themselves to add value not only to PowerObjects, but also to themselves. The best way to build and improve anything is to start at the foundation. Pavlos and Jack accomplished that by learning priceless information about themselves, including how they work under pressure, and best practices in delivering solutions. 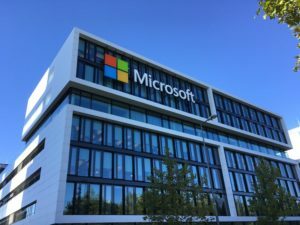 Over the course of 48 hours, they further developed their in-depth knowledge of Microsoft’s platforms and technologies, as well as developed crucial knowledge about themselves. Due to the large number of people and the plethora of teams all competing for first prize, there was a naturally incited atmosphere of competition that the PowerObjects representatives were more than eager to meet head on. Pavlos and Jack volunteered to lead their individual team of five in devising, strategizing and executing their planned solution. This meant that on top of their own specific project responsibilities, their role included delegating tasks, ensuring that timelines were kept to and total organisation of their team. They took PowerObjects’ second principle to heart and created an efficient and productive working environment, boosting their teammates’ spirits and teamwork. Within a smaller context, Pavlos and Jack seldom have the opportunity to work this closely together for such an extended period. The 48-hour weekend enabled them to get to know each other much better as working colleagues and cultivate an effective working dynamic. No doubt this will be reflected in their future projects! At PowerObjects, it’s highly important that every member of the organisation truly enjoys their role. Passionate involvement in projects and daily tasks helps ensure that solution delivery is consistently successful. During the Hackathon, passions and competition were running high throughout, which helped fuel the PowerObjects team to work harder and achieve more. Going up against the clock to complete a task under a great deal of pressure is exactly the type of situation in which PowerObjects thrives and produces exemplary solutions. Competing against other teams at the Hackathon, in such an intense environment, opened another view of the technology and reaffirmed Pavlos’ and Jack’s enjoyment of what they do. Having a love for the technology used every day is an important aspect in the life of a PowerObjects employee. The Microsoft Hackathon event shows precisely how Pavlos and Jack live the technology as a key part of their lives. They both researched the event themselves and made conscious and involved efforts to ensure they attended, since the opportunity to work this closely with Microsoft, and regarding Microsoft technology, was too good to pass by. They live the technology right to their cores and their involvement, even on weekends, reflects the commitment to be the best in their respective fields. It is important to note that all the work that went into PowerClinic at the Hackathon was completed using current Microsoft technologies. An important learning that Pavlos and Jack gained was the in-depth insights into what is possible with the current technologies, even under strenuous and short timelines. For example, the team managed to successfully “get 3 months of work done in the space of 2 days.” Knowing the technology inside and out is critical to being able to deliver the best solutions, consistently. One of the main objectives that Pavlos and Jack had defined, before going into the Hackathon, was to make sure they initiated, worked diligently on, and successfully executed a project they deeply cared about, thereby adding value not only to business operations, but to the betterment of society, as well. After a team brainstorming session, they decided on designing and creating a healthcare-based solution, with the idea of streamlining the patient process. Even in the face of severe competition and pressure, our PowerObjects ambassadors remained true to the final core of our company culture. They did the right thing by focusing on a project to improve the lives of a much wider range of people: those suffering from almost innumerable issues. What benefits do you feel you gained from attending the Hackathon? Did you learn anything new from the experience? Would you do the Hackathon again?